Stop me if you’ve been here before: A company’s CFO and bookkeeper are looking over their Quickbooks records, and for some reason, their inventory and their cost of goods sold don’t match up to what they should be. Neither the CFO nor the bookkeeper can figure out the problem’s source. Convinced fixing this would be a major undertaking, they start to look for outside help. Fortunately for them, someone recommended Edison Business Solutions. In a short amount of time, we figured out the root of the problem and were able to easily fix the issue. Their problem was a procedural one. When setting up their inventory items on Quickbooks, they designated them as non-inventory parts. Doing so kept their inventory costs from calculating properly: when they sold items, the inventory didn’t update, nor were the costs captured correctly. Consequently, the software didn’t capture the correct cost of goods sold (what it cost you to make the item), compounding the problem. When you buy and sell something as inventory, it is recorded in inventory, affects costs, and updates sales. Therefore, you know how much you bought it for, how much you sold it for, and how much you made on the sale. If an item is put into your books as a non-inventory item, only the cost is recorded when purchased with no relationship to the item you sold. That’s not to say there is no reason to designate something as a non-inventory part. Anything necessary for running your business that isn’t product or inventory, such as office supplies and paper goods, are examples of non-inventory parts. Since you have no intention of selling said office supplies, you do not need to track purchase prices as it relates to the item used, only as to how it affects your bottom line. In conclusion, if you designate parts as non-inventory, there is no relationship between transactions; therefore, there is no way to accurately gauge profitability on an item sold. If you don’t properly designate inventory, there is no way to accurately track what you made on each transaction. It’s time to work smarter, not harder. 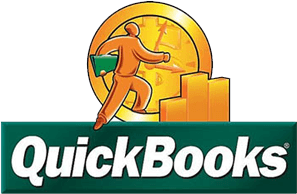 Let Edison Business Solutions help Quickbooks help you.